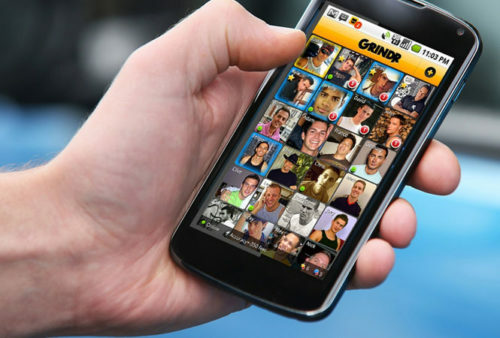 Grindr has shut down its online magazine INTO, just weeks after the site published an article criticizing a Grindr executive and a widely-panned “take-down” of Ariana Grande stirred nationwide controversy. In a statement, INTO said that its closure is due to a “refocus” on video content. “The company will be refocusing its efforts on video and as such, the editorial and social teams were let go this morning. We feel that INTO‘s closure is a tremendous loss for LGBTQ media, journalism, and the world,” the statement said. A Grindr spokesperson affirmed that they want to focus on video content. Related: Grindr blog accuses Grindr president of being anti-marriage equality. Mayhem ensues. Since it started in 2017, INTO has published a number of investigative pieces on LGBTQ people. Chase Strangio’s “How Transgender People Have Survived (and Thrived) Under a Year of Donald Trump,” which was published by INTO, won the 2018 National Lesbian and Gay Journalist Association award for Excellence in Opinion/Editorial Writing Award. This past November, INTO published an article that took Grindr president Scott Chen to task for what they believed was an anti-gay Facebook post. The post, which was written in Chinese and translated by an algorithm, was about Chen’s decision to boycott another company that opposed marriage equality in Taiwan. INTO published the article without a comment from Chen, but he responded in the comments section that his feelings were “hurt.” Chen said that he meant that he sees his marriage to his wife as a “holy” union and that others see their marriages differently. Grindr’s head of communications, Landon Rafe Zumwalt, resigned in protest of Chen’s Facebook post. Zumwalt told NBC News that he was “not surprised” by INTO‘s closure, but responded “no comment” when asked if the closure had anything to do with the article on Chen. The author of the article left the company before the site was shuttered, as did the site’s Managing Editor, Zach Stafford. Stafford is now Editor-In-Chief of the legacy LGBTQ media property, The Advocate.